*Go beyond quilting in the ditch--quilt parallel lines, radiating lines, and shattered lines as you turn straight stitches into walking-foot wonders that wow! 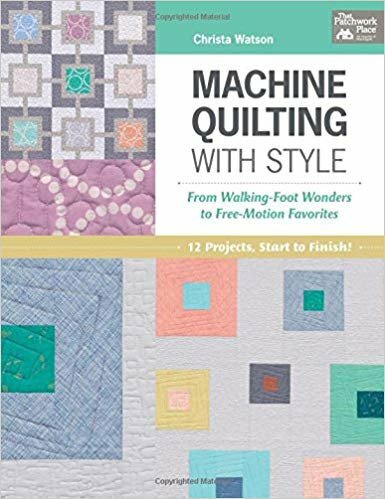 *Love the look of free-motion quilting but not sure where to begin? Start with simple stipples and expand your repertoire to include wandering waves, boxes, pebbles, loops, and many more. *Discover Christa's top tips for machine-quilting success and learn to use quilting designs to enhance each part of the quilt, whether you're making a baby quilt, wall quilt, or throw.